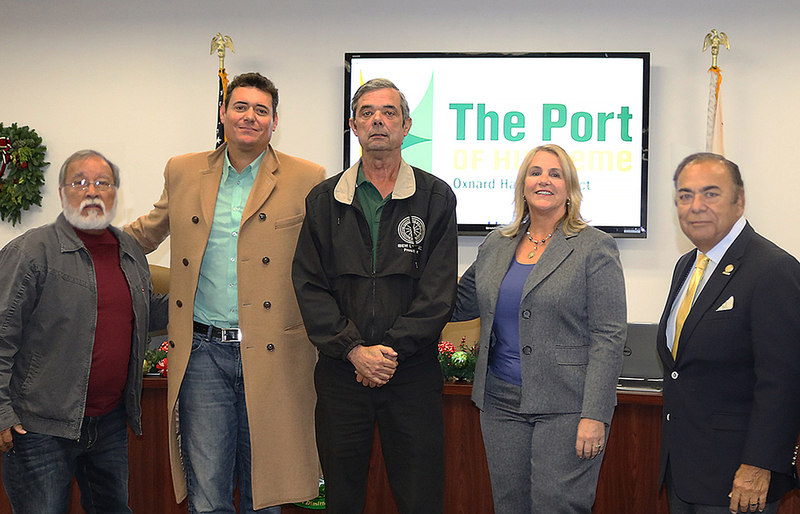 On Monday night, December 10, 2018, the Oxnard Harbor District Board of Commissioners took a historic step in signing a Project Labor Agreement. The first of its kind in the Port’s 81-year history, the Project Labor Agreement (PLA) will ensure local labor for all Port projects estimated at or over $250,000. The PLA will last for three years and may be extended by mutual consent of both the Port and the Unions. 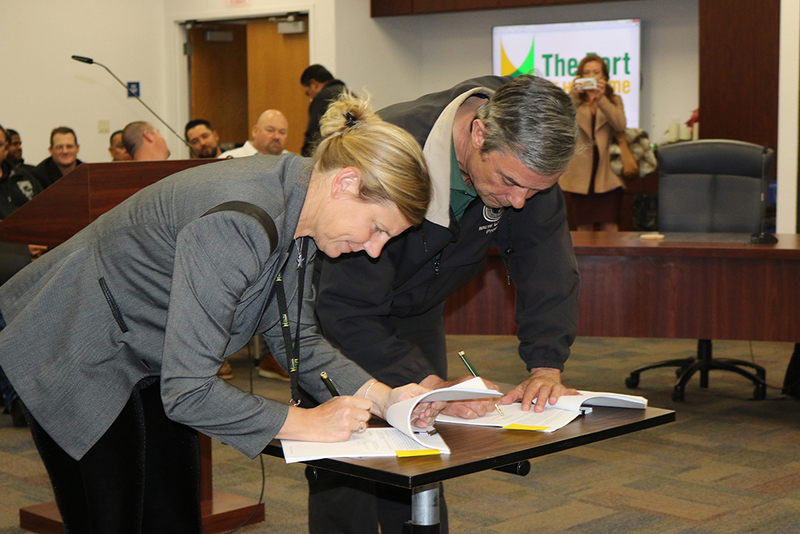 According the agreement, the parties will work toward having at least 30% of all construction labor hours worked come from qualified workers residing in the cities of Oxnard and Port Hueneme as first priority, those residing in Ventura County as second priority, and those workers residing within Santa Barbara and San Luis Obispo Counties as third priority. As party to the PLA, both the Port and labor will participate in the “Helmets to Hardhats” program. This program assists in creating and maintaining an integrated database of veterans interested in working on Port projects and participating in apprenticeship opportunities. “This agreement will provide good paying jobs for our local trades. It provides access to a reliable supply of well-trained, highly-skilled workers and helps keep projects on time and on budget. This is a real win-win for the Port, our labor force, and the community,” said Kristin Decas, CEO & Port Director. The PLA is not just for new construction projects at the Port, it will apply to all construction, abatement, demolition, renovation, rehabilitation, upgrade and improvement work and new construction projects to be performed under a contract with the Port, as well as all subcontracts flowing from those contracts.